Over the years I’ve watched a lot of sports: baseball, not my favorite; softball, a different version of baseball; football, too slow; hockey, too fast; basketball, Yes. And soccer, you bet! Love, love, love me some soccer. Make that fútbol to everyone outside the U.S. Ah, yes, soccer has replaced basketball as my favorite watchable sport. I’m not sure why because a last minute fluke can prevent the best team from winning. And those sudden death tie breakers have caused many a painful night reliving what might’ve/could’ve been. I must confess that sometimes during those long hours of sitting on unforgiving bleachers I’d give my mind a change of pace and allow it to wander into the Land of Make Believe. Create my own team, teenage boys in this instance. Make that a select travel team, the kind every teenage soccer player aspires to play on, the kind every player’s parents aspire for their son to be Numero Uno. Parents, you gotta admire or fear them, those over-the-top super ambitious parents who will do whatever it takes to help their son achieve his fullest potential. To eventually earn an athletic scholarship to a major university. Dream on, which I did. And wound up with a group of talented soccer players on a team called Pegasi United, coached by a power-hungry guy who learned how to work the system to his advantage. Add to that a recently widowed soccer mom who feels obligated to take over where her late husband left off, all for the sake of their son coping with grief while trying to honor the memory of his dad. 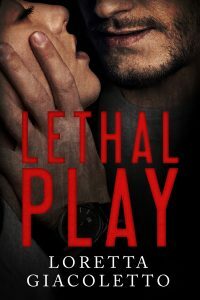 It all came together in a mystery entitled Lethal Play. Loretta Giacoletto has been named a finalist in the 2015 and 2014 “Soon to be Famous Illinois Author Project” for her sagas, Family Deceptions and Chicago’s Headmistress. She divides her time between the St. Louis Metropolitan area of Southern Illinois and Missouri’s Lake of the Ozarks where she writes fiction, essays, and her blog Loretta on Life while her husband cruises the waters for bass and crappie. Their five children have left the once chaotic nest but occasionally return for her to-die-for ravioli and roasted peppers topped with garlic-laden bagna càuda. Her novels focus on characters caught up in problems of their own doing, crime often laced with romance that may not end happily-ever-after.